My first destination was the Grand Palace. To reach the place, one has to go to the Saphan Taksin BTS station then ride a Chao Praya Express Boat from the Sathorn Pier to the Maharaj Pier where the Grand Palace is nearby. Again, the pier is just below the BTS station. Very convenient! Aboard the Chao Praya Express Boat. I bought a tourist pass for the Chao Praya Express Boat thinking that I’d be using it a lot. I was wrong, I only rode it to the Maharaj Pier and back to the Sathorn Pier. The boat ride was relaxing. The sights along the river drowned the noise generated by the boat’s engine. The tourist boat had a tour guide on board but I stopped paying attention after the first stop. Rather than sitting down, I stayed on the deck. From time to time, other tourists asked me to take their photos. Just a random thought, it’s amazing how upscale riverside properties in Bangkok are. Here in Manila, slums are the common sight along rivers. I also like the fact that the Chao Praya river can be used to get around. The Mandarin Oriental Bangkok along the Chao Praya river. It’s one of the many five-star hotels along the said waterway. After a thirty-minute boat ride, we arrived at the Maharaj Pier. The Grand Palace was 10 minutes away by foot. En route to the place, there were many vendors selling random Thai goods. The gates to the Grand Palace was brimming with tourists. Getting inside the Grand Palace grounds is free for locals, but costs 400 Thai Baht for foreigners. Pretty steep in my opinion, but I had no choice. It probably costs a lot to maintain the place. Grand Palace pass. 400 Thai Baht. 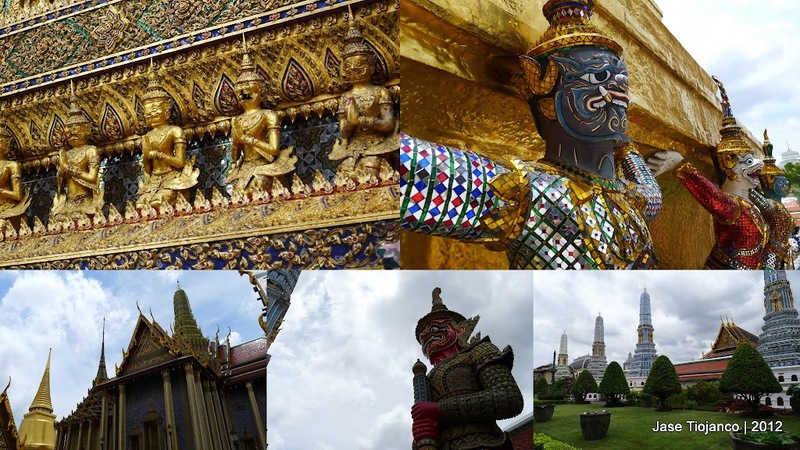 I spent a while going around the Grand Palace grounds. It was absolutely beautiful and the place was glimmering with grandeur. My next stop was the Chatuchak weekend market. Covering 35 acres of land and housing around 5,000 stalls, it is considered as the largest market in Thailand. The market sells a wide variety of good including clothes, pets, and even spa needs. 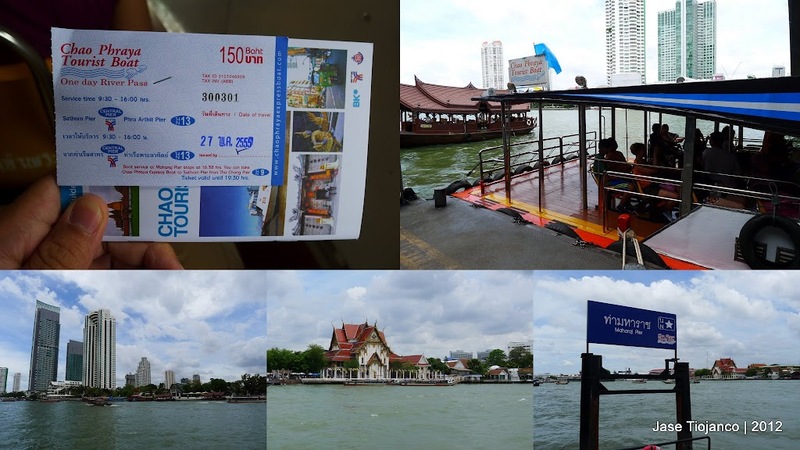 I rode the Chao Praya Express Boat to go back to the Sathorn Pier. A tourist watches other boats pass by as we go towards the Sathorn Pier. From the Sathorn Pier, I went back to the Saphan Taksin BTS Station and headed to the Mo Chit BTS station on the Sukhumvit line. From the station, the Chatuchak weekend market is just a short walk away. Wandering around the Chatuchak Weekend Market. I only had a few things on my shopping list: Bangkok shirts, a sleeping dress for my mom, and some souvenirs for my friends. I was able to buy shirts and souvenirs, but no sleeping dress for my mom. I also looked around to check if there were stalls selling focus mitts but I found none. I wanted to buy some of these shirts… but I didn’t know what the shirts were saying. At three in the afternoon, I headed back to Four Seasons. I was pretty happy with my short adventure in Bangkok. The rest of my Sunday was spent (uhm, wasted? I kid.) reviewing in preparation for the week ahead. I’m about to spend 24 hours in Bangkok, and I was trying to figure out how to hit the grand palace and the weekend market most effectively. I’ll just follow in your footsteps—looks like you got to both places just fine.